I guess I feel that way especially today, which is called “Trinity Sunday” on the Christian calendar. I don’t know what your experience in the church, but in mine “the doctrine of the Trinity” was one of those things taught to be true, and then was regulated to the “mystery” file of theology. If the “doctrine of the Trinity” was discussed, it was presented as sort of intellectual puzzle that required a professional degree in theology to even enter a conversation. Sometimes the help offered to explain the doctrine made it even more confusing. I remember a pastor trying to explain the Trinity at church camp to a group of teenagers sitting around a campfire, swatting mesquites. The pastor pulled two branches from the campfire. As we watched, he preached, saying: “Each of these burning branches represent God. They burn with the same flame as the fire from which they came, yet they are unique and distinct. That’s how it is with the Trinity. It’s mystery to be believed! I have heard lots of such illustrative imagery over the years. God is like H2O – liquid, ice, and steam! God is like an egg – a shell, the egg white, and the yoke. But I am not going to do that. Perhaps the metaphors are helpful to some, but they’ve always left me a bit dry. I am not too bothered by the notion that ” it is s a mystery.” I will have been married 25 years this coming January. I know there are a lot of things that are a mystery that I just have to accept. Besides, I am giving up the notion that it is my responsibility to solve every mystery and answer every question. I understand those birds. They do not sing because they have an answer. They sing because they have a song! Isn’t that a beautiful piece of prose? Theology isn’t suppose to be stale and dry. It is suppose to be an artistic expression of God that makes our hearts want to sing, not because it has uncovered answers, but because it has produced a song. So, the first thing I want us to think about today is what the “doctrine of the Trinity” says about the nature and identity of God. There is a Greek word that many of you have heard me reference in the past in relation to the Trinity. It sounds sort of highfalutin when you first hear it pronounced, but when you hear it defined, it paints a picture of great passion. The word is Perichoresis, which is actually a combination of two other words. The first is “peri” which means “to turn or twirl about.” The second word is “choresis” which the word from which we get choreography or dance. Theologians have used this word – Perichoresis – since the early days of the church to describe the intimacy and connection between the Father, Son, and Holy Spirit, who are involved in a Divine Dance of intertwining love. They are unique and yet unified, distinct and yet sharing the same life and movements and substance. I don’t say this to make fun of Bootsie. I say this because I know there is something inside all of us that makes us want to sing, to move, to dance. Bootsie wasn’t along. There was a long line of people out in the parking lot doing a line dance. Everyone was involved moving in rhythm, twisting and turning in unison, relating to one another with joyful passion, sharing in a common song and common dance. That’s the picture the word “Perichoresis” paints. It sees God as connectional and relational. That’ important. God could not be “Eternal Father” if there were not an “Eternal Son.” God cannot be understood to be eternally “connectional” or “relational” or “loving” if God were not an Eternal Spirit, connected to an Eternal Son, sharing life and intimacy with the Eternal Father. God becomes simply a philosophical concept or idea. God becomes nothing more than some sort of distant of omni-being, out there, remote, watching us from a distance. God becomes judge, jury, and executioner; God becomes a legalist and list-keeper; God becomes a being that has to be impressed, assuaged, and pacified. …God is not the Eternal Father of love and compassion. …God is not the Eternal Son who reveals the Father to humanity, while executing the Father’s plan to bring to all salvation and grace. God is not Eternal Spirit who revels is passion, love, and connection, and relationship. One of the central implications of the “doctrine of the Trinity” is that it reveals God’s to be personal, intimate, caring, and loving. That’s why Jesus presents his Father over and over again as a compassionate Papa. That’s why scripture refers to Jesus as one who shares the life and likeness of His Papa in order that he might reveal to our broken lives God’s true nature and identity. That’s why the Bible present the Holy Spirit is an indwelling lover whose primary passion is that we will all know and experience God’s amazing grace. In just a few words, the doctrine of the Trinity illustrates the core biblical conviction about the nature, character – DNA if you will – of God, when it says, “God is love!” This love is not just a slice in the pie of God’s identity. This love is not just a an afterthought or some quality that must be “kept it check” but the rest of God’s attributes. This is the rock solid foundation of how we understand who God really is. God is LOVE. We don’t have to know all the answers about God – in fact, we can never know all there is to know about God. But there is one thing that God has sought to make abundantly clear – a truth that is wonderfully illustrated by the doctrine of the Trinity. That truth is that “God is Love!” God is not an answer to be accepted or mystery to be solved. Rather, God is the one who brings a song to love to our hearts that we can’t help but want to sing. That leads to a second implication of the doctrine of the Trinity. God is involved in a wonderful Divine Dance. Father, Son, and Holy Spirit are caught up in the Perichoresis – and we are given a place in that Divine Dance IN Christ. When I was younger, my mother, brothers, and I lived for a while with my grandparents in Trenton, New Jersey. In the room where I slept, there was a “secret room” behind the closet. It was just a little bigger than I was, but it was a cool place to hang out and store all my treasures – particularly my comic books, which my mother had a bad habit of throwing away. I would have never known about this crawl space if it had not been for my grandfather. He told me it was there. He showed me how to remove the few boards the covered the space. He gave me “access” to that special space. Today we live in a world filled with all sort of secret spaces. To get in we need keys, swipe cards, photo ID’s, PIN numbers and passwords. Some places are so secure and sophisticated that you have to use your fingerprint to get clearance to enter into secured rooms. The thing is – whether it is a ID, PIN number, password, or some secret revelation – we cannot get access to what his hidden unless somebody provides us with a key. It’s that way with our connection with God. It is made possible in Jesus. He provides us with the key – with access. We are brought into the Perichoresis, the Divine Dance, the Trinitarian life of love, because we are spiritually brought into Christ by grace, to which we respond with faith. And as this access is make real in Christ, there are several special gift we enjoy. We will talk about these special gifts next week when we again gather for worship. Till then, I encourage you to allow your hearts to sing and celebrate the wonderfully good news that the relational God of the Divine Dance includes you. That ought to make your heart sing. 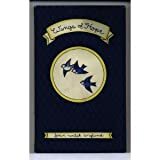 For half a century, Joan Walsh Anglund has been creating books that touch the hearts of children and adults worldwide. A Friend Is Someone Who Likes You was the book that launched her illustrious career, and to this day it remains a favorite gift between friends of any age. With a lovely new jacket and its original intimate trim size, Joan Walsh Anglund’s classic remains the perfect token—on a holiday, a birthday, or just a hard day—to share your love with a friend. A Friend Is Someone Who Likes You has sold more than four million copies worldwide in more than fourteen languages. “Once there was a cowboy. He was strong and brave. He was not afraid of coyotes. He was not afraid of mountain lions. He was not afraid of ornery rustlers. 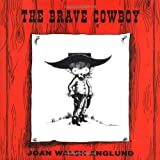 . . .” –from The Brave CowboyThis adorable gift book for children features Joan’s black and red line drawings on cream-colored stock. The red illustrations represent the brave cowboy’s imaginary world of bandits, rattlesnakes, stagecoaches, and fair maidens. Joan’s inspiration for the main character came from her son when he was about three years old. A new collection of inspirational poems by the bestselling author-illustrator of THE FRIEND WE HAVE NOT MET.